Hot Rod Blagojevich Heading Into History Books! The Illinois House of Representatives voted 114 to 1 to impeach its shamelessly corrupt, thickly-coiffed governor, marking the first time in the state’s 190-year-history that a governor has been impeached. 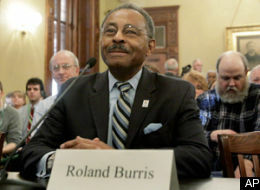 Considering Illinois’ shade-ball political past, that can only mean Mr. Hot Rod Blagojevich must have done something really big. 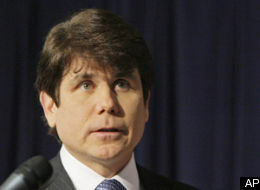 Like Blago-hair big. Sure, he tried to sell the president elect’s “f**kin’ golden” senate seat and threatened to withhold funds from a children’s hospital and god-knows what else. But what was really his downfall (aside from his terrible style) was that he just wouldn’t go away. Well, that and trying to stick us with this guy.